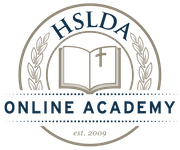 The Academy offers two types of online courses: high school courses and Advanced Placement® (AP®) courses. Please consider the particular guidelines for each before registering. Our high school courses are designed to help students master essential subjects while developing foundational study skills they will need throughout high school and college. Grade level: These courses are designed for high school students, or advanced 8th grade students. Foundations in Writing, however, is designed specifically for 8th grade students and up. If you have concerns about your student’s level of readiness, please contact us before registering. Writing skills and reading comprehension: Students should be able to read at a high school level and able to comprehend and intelligently discuss a text’s meaning. Students should also be strong writers, ready for high-school level writing assignments and able to follow the basic rules of English grammar and mechanics. Time commitment: Students should plan to spend about 5–10 hours per week on each course. The exact time needed for coursework will vary depending on the course, the week’s requirements, and each student’s learning style and study habits. Self-motivation: To succeed in our high school courses, students must be self-motivated and self-disciplined learners. All students are expected to take ownership of their studies, meet assignment deadlines, actively participate in class discussions, and seek instructor guidance whenever they have questions. Our Advanced Placement® courses include college-level content that prepares students for the rigors of both the College Board’s AP® exams and their future college studies. Grade level: These courses are designed for high school juniors and seniors, or advanced sophomores. Most of our students taking our AP® courses are juniors or seniors, and the average age range is 16–18 yrs. old. If your student is not yet a high school sophomore, please contact us before registering for an AP® course. While some 9th grade students achieve success in AP® courses and on AP® exams, the College Board reports that most are not ready. Writing skills and reading comprehension: Students should be mature readers prepared to read and analyze college-level texts. They should also be able to write at a collegiate level. Most courses have a substantial writing component, and even in courses with few formal writing requirements, students will regularly communicate in writing with their instructors and fellow students. Time commitment: Students should plan to spend about 10–15 hours per week on each course. The exact time needed for coursework will vary depending on the course, the week’s requirements, and each student’s learning style and study habits. Self-motivation: In this college-level academic environment, students must be self-motivated and self-disciplined learners. Students are expected to take ownership of their studies, meet assignment deadlines, actively participate in class discussions, and seek instructor guidance whenever they have questions. Looking for details about course requirements and prerequisites? View our course pages. Questions about your student’s readiness or any course requirements? Please contact us.